Here are some more retirement resources as close as your nearest browser. The Financial Consumer Agency of Canada has launched a free online guide to financial considerations in retirement. Living in Retirement covers such topics as budgeting during retirement, various sources of retirement income and credits – including public pension benefits, tax credits and other benefits for seniors, working in retirement, ways to protect yourself from financial abuse and fraud, and dealing with changing living needs, caregiving and other transitions. Third Quarter bills itself “the job service for mature Canadians”. With support from the federal Office of Literacy and Essential Skills, the non-profit organization offers various online resources and information, as well as an employment service which matches employers with Canadians aged 45 and over. Moneysense.ca offers a wealth of retirement resources, including articles on finance, housing, planning, and health. Last November, a former Toronto couple began blogging about their real-life retirement in real time. By the time, they began their blog, Astrid and Peter Tobin had already moved from east-end Toronto to Kingsville, a small town on the north shore of Lake Erie, but they documented the path to their decision to escape the city and embrace a small-town Ontario retirement. 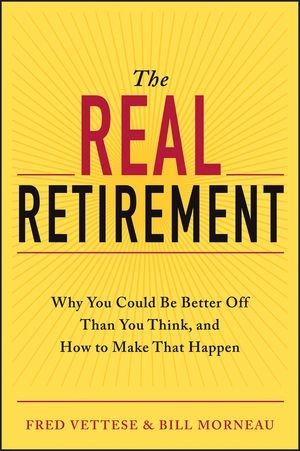 We’ve found their story interesting, in that it mirrors much of what we understand and have written here about a rich, rewarding retirement lifestyle. When the Tobins started thinking about retirement, they took a hard look at their finances and realized that in order to remain in the home and neighbourhood they’d lived in for 12 years, they’d need to both get rid of their car and fully pay down their mortgage. Neither was an option. The alternative was to move out of Toronto, which was just too expensive a place in which to retire. Starting to seriously think about retirement had been sparked by visiting retired friends in Bracebridge, Ontario and seeing the retirement lifestyle they were enjoying in a smaller Ontario community. So moving from the city already had attractions. On top of that, they’d always seen their Toronto neighbourhood as having a small-town atmosphere, with shops and the Beach within strolling distance. They set out to find the same feeling in a smaller community. Their priorities included affordable housing, a community on the water with a public beach nearby; proximity to a golf course; an active arts community; and walking distance to town. Hmmm, starting to sound familiar? You might as well describe Meaford Haven. The Tobins’ search took them north to Muskoka, further north and east to the Ottawa area, and then along Lake Huron and over to Georgian Bay. They found Collingwood a great place, but not suited to retirees on their budget. (We wish we might have met them on their travels, and shown what Meaford Haven has to offer in a short while.) And in the end, they chose Kingsville, for all of the above reasons. In their most recent post, they reveal how much they’re saving by living a small-town Ontario retirement lifestyle. Owning a more affordable house, along with other reduced costs, has freed up an additional $350 a month. We’ll keep following the Tobins, and hope to hear more about their real-life retirement in small-town Ontario. A recent article in the Globe and Mail by Robert McLister reports that almost 25 percent of baby boomers aren’t really that concerned about paying off their mortgage by the time they retire. The article says that, currently, about a quarter of Canadian homeowners continue to carry a mortgage into retirement – and that more than half expect that to be the case. Mr. McLister points out the risks this attitude carries – including the chance that rising interest rates down the road may turn a manageable monthly expense into something that will quickly cut into the fixed, more modest income you’ll have in your retirement years. 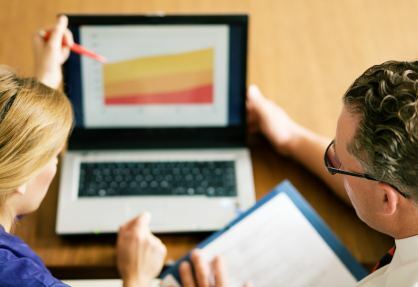 While he suggests that for many, carrying a mortgage into retirement may not be that big a deal – if you are worried about being caught unprepared, you can take certain steps to avoid the risks. While this is all sound advice, Mr. McLister fails to point out another solution. 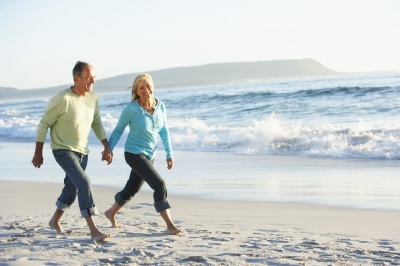 By downsizing (or right sizing) or moving to a less expensive real estate market (or doing both), you can eliminate your mortgage and discover a more enjoyable lifestyle in which to enjoy your financially liberated retirement years. We just thought we’d point that one out. Phased retirement or partial retirement has a lot of things going for it: staying active and stimulated during retirement; having a little more money to enjoy some of those retirement perks you’ve been putting off; and enjoying a retirement lifestyle before you might have otherwise been able to. If you’re looking to ease into retirement and begin enjoying the lifestyle a little sooner, cutting costs can help you do it. 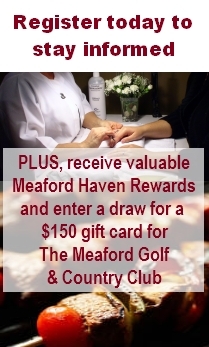 Here are some tips to get you enjoying your Meaford Haven retirement sooner. 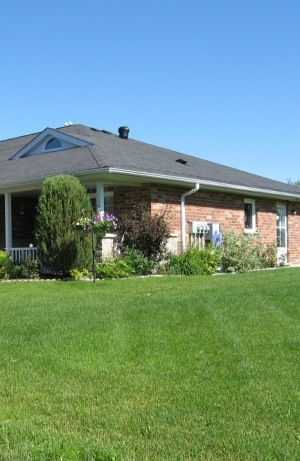 Just moving to a retirement community in a small town like Meaford, Ontario will immediately cut your expenses. That large city or suburban home carries a lot of regular, ongoing costs in maintenance, taxes and insurance. If you still have a mortgage, selling your home and finding an Ontario retirement community in a small town can see you mortgage free, which frees up a lot of monthly cash flow right away. And you’ll be surprised at how many things are a lot less expensive in small-town Ontario. Moving to a smaller place – or right-sizing, as we like to think of it – means you need less stuff. Selling off some of your belongings can provide a tidy sum for additional investment or other use. And donating items, as long as you get a tax receipt, can help you to a tax break. If you’re retired, or working in the “nobody-knows-you’re-retired” guise, you don’t need the same clothing budget you had when you were heading to the office, the plant, or the store every day. And a second car isn’t nearly as necessary once you’re in retirement or semi-retirement. Selling the second car can immediately net you thousands, and the additional savings on insurance and maintenance will continue to add to your bottom line. Do you need a land line? In this age of mobile communications, you might want to take a tip from those 20-somethings who rely on cell phones alone. A good family plan can have you both in touch at all times for not much more than you’d pay for a land line alone. Your home insurance will likely drop when you move to a retirement community. If you’ve shed that second car, you’ve slashed that insurance burden. And as you ease into retirement, you should consider your life insurance policies. At this point, changing at least part of a large whole life policy into term insurance provides protection while cutting costs.